With summer well and truly on its way, we are all on the lookout for kids clothing that is cool (in both senses of the word) and breathable as well as functional for kids’ play. Cheeky Britches, with its cheeky name, creates beautiful and unique baby and kids clothing from gorgeously soft bamboo fabric. Cheeky Britches is a Melbourne-based small business set up by two mums who were tired of endlessly searching for ethical, sustainable and unique clothing for their kids. In fact, so committed are they to an ethical and high quality manufacturing process, that all the clothing is made locally in Melbourne by their own team of seamstresses. The bamboo Cape Tee is a part of the Cheeky Britches Spring Summer 2014 Moroccan theme and it absolutely fits the bill for cool and functional. Made from 95 per cent bamboo, a fabric known for its breathability, and a little bit of elastane for stretch, the Cape Tee has an organic cotton trim, arm slots for ease of movement and a loose fit for keeping baby cool on hot summer days. 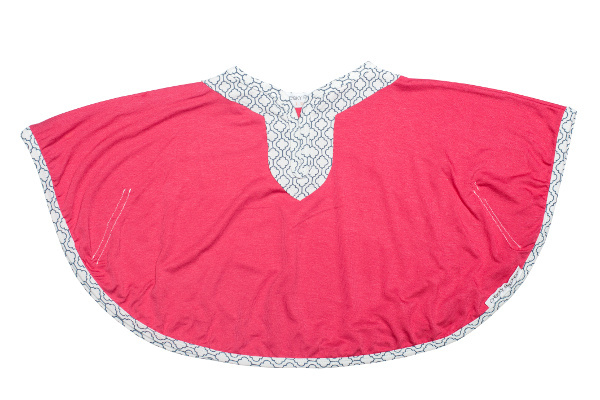 The Cape Tee comes in watermelon and navy, and costs $39.95 from Cheeky Britches. 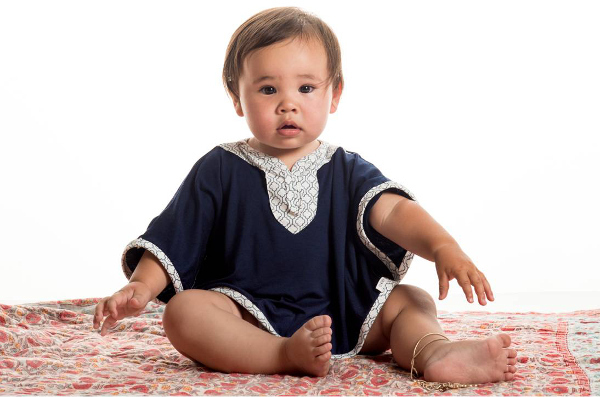 Browse their website for more in the Moroccan range, including these sweet summer onesies.